London born but best known by his work on the Belgium based Token Records, Ø [Phase]'s style ranges from gritty minimal techno to Detroit influenced material. Originally a Mastering engineer, he began producing as a sideline, releasing his debut 'Module Overload' on Steve Bicknell's Lost/Cosmic records in 2000. 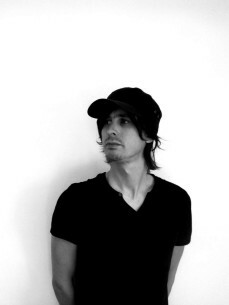 This was followed by a string of productions for London's Surface/Inceptive Records and Ben Sims Ingoma imprint, all of which saw consistent support throughout the techno community. Since he started working with Token in 2007, his music has progressively earned more and more worldwide recognition - most significantly on 2012's much acclaimed 'Binary Opposition' single and subsequent 'Reprocessed' remix package. In 2013 he finally released his first full length album, ‘Frames of Reference’.